8-Bit Girl: Ink Whiskey: Nintendo Themed Hip Flasks! 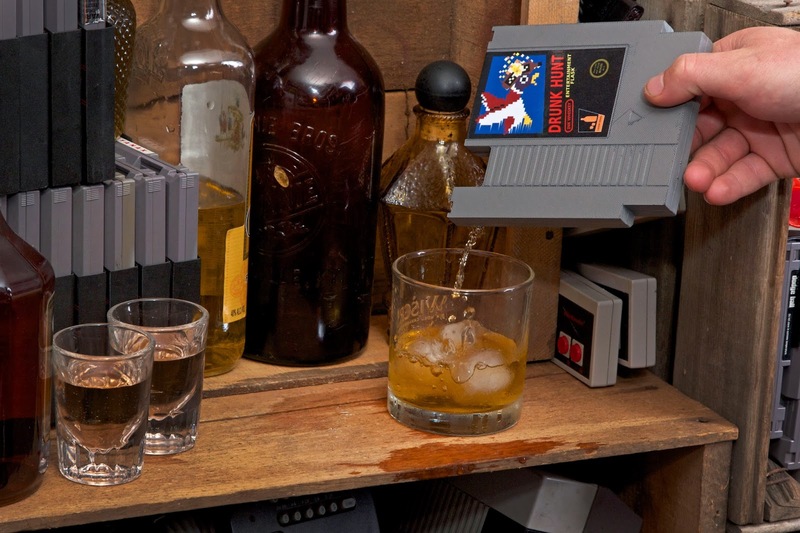 Ink Whiskey: Nintendo Themed Hip Flasks! 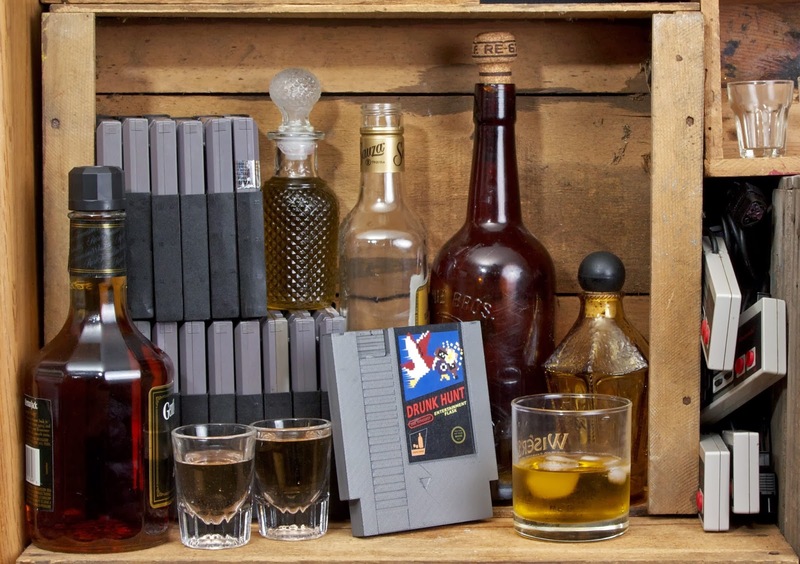 Gaming and drinking often go hand in hand, especially when a few friends are also involved too. Portland, Oregon based company Ink Whiskey combines the gaming and drinking with their specially designed hip flasks. Currently available to pre-order via their Kickstarter campaign, these flasks look and feel exactly like a classic Nintendo cartridge, except they're not designed for playing-they will hold your whisky! 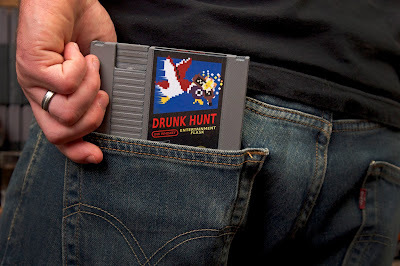 These concealable flasks can fit into a back pocket, and give the illusion that the owner is carrying around a retro games cartridge, rather than their sneakily concealed beverage of choice. 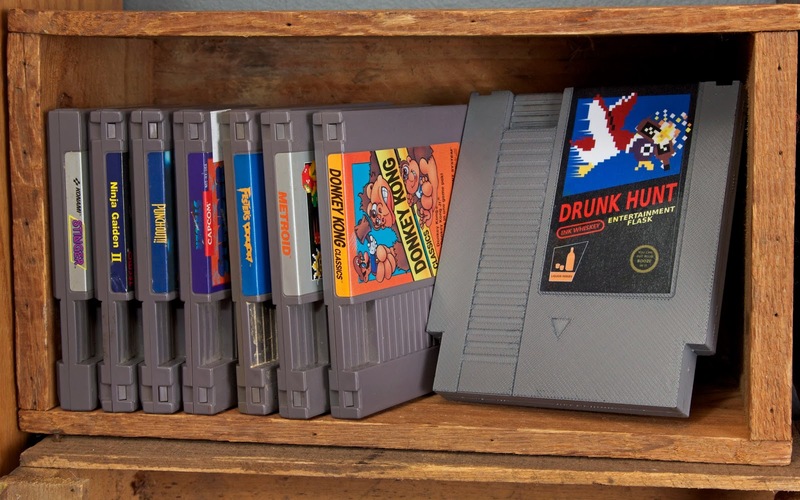 Available to hold about 4oz/120ml, these flasks are made from durable plastic, are watertight and are available in feature five label designs that are based on classic Nes games. Current labels available are: "Drunk Hunt", "Super Bar-Hop Bros.", "Castlevodka", "Metal Beer" and "The Legend of Drink". I think these look absolutely brilliant, and no doubt they'll prove to be a talking point when taken out and about.